Last week, I posted a review of Matthew Paul Turner’s Hear No Evil with an opportunity for you to win a copy. 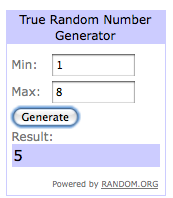 I used a random number generator, and the winner is Nick Carnes. Email me your mail address, and the book will be on its way. Thanks to all who entered, and thanks to WaterBrook Multnomah Publishing Group for allowing me to review their books and providing a giveaway copy for you.